If you run a business, you need to work with people. Sometimes, you work with other businesses or individuals as equal partners. At other times, you engage with individuals as workers or employees. As far as the law is concerned, which description properly applies depends on their ‘employment status’. Last year’s news was full of coverage on the question of employment status, and specifically its application to what’s come to be known as the ‘gig economy’. 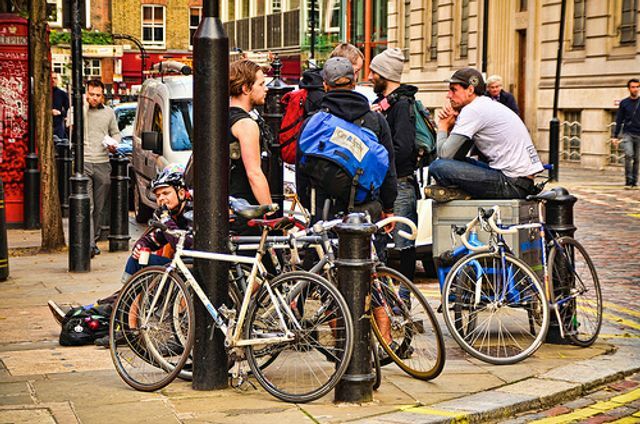 ‘Gig’ had previously been used to describe freelance work more generally, but these news stories specifically relate to the community of workers who receive the jobs ad hoc via apps, for example bike couriers. The legal activity examining this question culminated in an employment tribunal ruling that two Uber drivers were workers, and this status entitled them to a minimum wage and holiday pay. I summarised the story on these pages on 18 November. The employment tribunal or HMRC will assess the particular situation based on a number of factors relating to the business’s control of the individuals and how integrated they are into the business’s structure. Requiring that your workforce tick a checklist designed to show they are self-employed will not always help you avoid the Uber driver situation – in this case, a checklist was used but resulted in a heightened suspicion by the tribunal that this was an attempt by ‘an army of lawyers’ to outsmart the law and avoid workers being treated as workers or employees. If the worker/freelancer is allowed to substitute others to do the work instead of them, they will normally be considered freelance (self-employed). There was a clause in this contract saying that substitution was allowed. But there were so many restrictions that in practice it only meant the worker could swap roles with a fellow colleague who was also working for the business, therefore it did not tip the balance to self-employment. If you engage a contractor, generally you allow them to decide how best to perform their work. However in this case, the contractor worker was told in great detail how to perform her job – for example, she was told to wear a uniform and even to smile. Unfortunately there is no quick solution to these issues. Employment status is not an easy thing to define, particularly as new ways of running businesses emerge. However it is defined, some businesses will attempt to defeat the definition of employed status if that’s in their interest. People do want to work in different ways – and of course self-employment should always be allowed and not penalised. The Government is very clearly trying to get the definition correct so that, as far as possible, people can work how they want without being exploited and employers can experiment with, innovate and evolve the way they fulfil their business needs. You may be interested in the Government’s review into the issue, which was commissioned last November – here’s their communication page. Very importantly, the question of ‘employment status’ depends on the nature of the working relationship, not on what you call it. So if you’re not sure about what you should choose, or whether there are any risks to your business in employing someone on a particular basis, our guides below should help you match the right approach to your intentions.